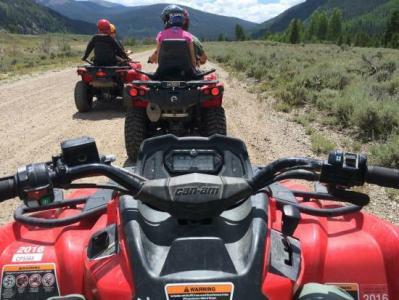 Get out and have fun in the majestic mountains of Copper MountainColorado, go on a ATV tour or rent one and explore the Copper Mountain Colorado area backcountry on your own. Ride through streams, see beautiful fields of wildflowers, experience views one only dreams of. You don't have to have experience the guides in the area of Copper Mountain ATV tours are there for you to enjoy this experience. Established trails will take you to elevations of over 12,000 feet in elevation, be sure to take your camera. Vail Valley’s one-stop show for everything outdoors! At MAD Adventures, we're MAD bout giving our customers the best Colorado outdoor experience of a life time.